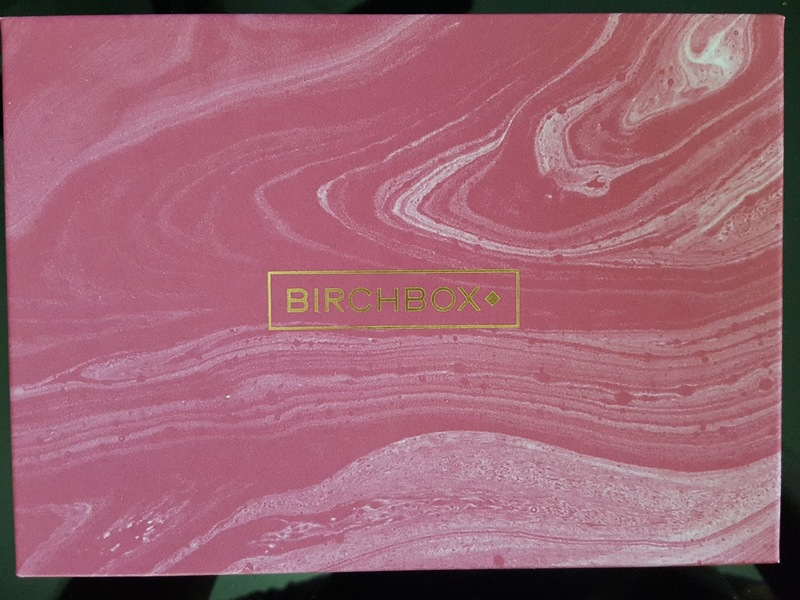 By now it's pretty normal for me to receive my Birchbox sometime during the following month. *Note to new AK and HI subscribers: when they say expect up to 10 business days for transit that doesn't include you. There really is no time limit when it comes to those states. Just FYI. * Since I'm late to October's game I'm just going to cut to the chase. This month's last month's box itself is probably my favorite thing about it. It's very pretty yet simple, and it's appropriate for display anywhere. I'm gonna take it to work and put my hand creams and blotting papers inside. As usual there were five items inside. 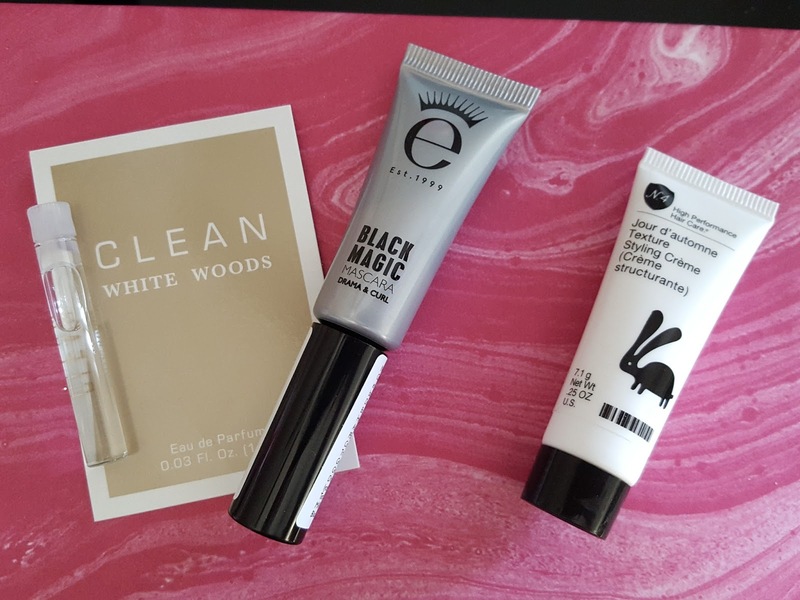 I vaguely remember having a choice of mascara for the October box; I must have chosen the Eyeko one although I don't remember doing so. Since I usually don't peek ahead of time the other four items were a complete surprise. Lollia Shea Butter Hand Cream - Wish (0.3oz value: $2) - Lollia specializes in girly things like lotions, soaps, candles, perfume...you get it. I hope you have a sharp point handy because this hand cream comes in one of those sealed tubes that you're supposed to use the pointy thing in the cap to puncture it with...but this cap has no pointy thing in it (I hope the full size version does). I used a staple remover. Wish is described as an infusion of warm vanilla bean, rice flower, sugared pastille, and jasmine leaves sweetened with sugar cane, ylang ylang and amber woods. Curiously enough, this all goes together. It's a sweet scent with some floral undertones. I don't really care for floral notes, but it works well here. 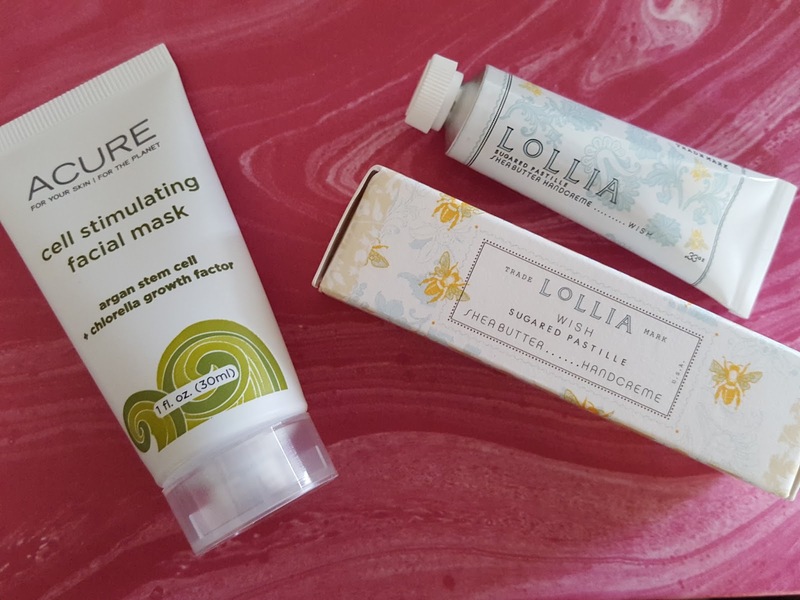 This hand cream absorbs quickly and leaves my hands feeling so soft. Too bad it's such a tiny tube. 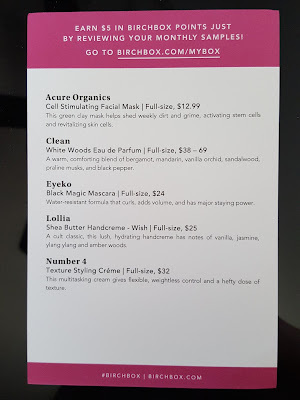 Clean White Woods Eau de Parfum - With a name like Clean and a scent called White Woods I'd expect an outdoorsy scent...something reminiscent of the damp earth after a snowfall. I'm not sure what fresh snow actually smells like since I've never seen it (whaaa--?? ), but I'm fairly certain it doesn't smell like a room full of flowers and musk. Nope, not woodsy or outdoorsy. Eyeko Black Magic Mascara (0.13oz value: $11) - Like virtually every mascara out there, this one boasts volume and curl for your lashes. So far none have proved effective on my wimpy lashes. (In fact, when I got my makeup done for my wedding, my MUA recommended going with falsies to open up my eyes because my lashes were so short and thin that nobody would be able to tell a difference if I wore only mascara.) I tried this one annnd...same story. No holding a curl, no added volume. But it really is smudge proof and that makes me happy. I do need a replacement mascara though since I'm pretty sure my others have dried out by now. So yay! I guess I'll keep trying to grow longer lashes. Ha. Number 4 Texture Styling Creme (0.25oz value: $1.50) - If you absolutely love beachy waves in your hair and want to carry the look well into fall and winter, this texturizing cream can help. This creme isn't as strongly scented as the No. 4 shampoo and conditioner, but it still reminds me of stepping into the fragrance department at Macy's. In other words, too strong for me. Man, I'm picky with fragrances, aren't I? Soo...I don't know how I feel about this box. There's only one thing I like, two that I could go either way on, and two items that get the boot. Well, considering I could end up keeping the things that make up the bulk of the value I guess it's worth it. 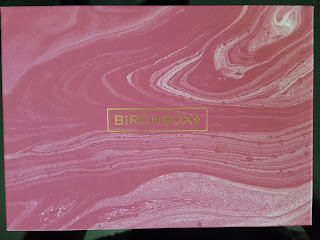 The box itself is really pretty though and I'm definitely keeping that :) I've been going back and forth on whether to unsubscribe from Birchbox. Hmm, I should give myself an ultimatum. Something like if I get three so-so boxes in a row then I'll take a break. Yup, sounds fair, let's go with that. If you're still interested in subscribing and seeing what kinds of goodies you'll get then click here to sign up. Even if you don't like your first few boxes, you'll be able to change up your profile to tweak future box curations. That usually works for most people. 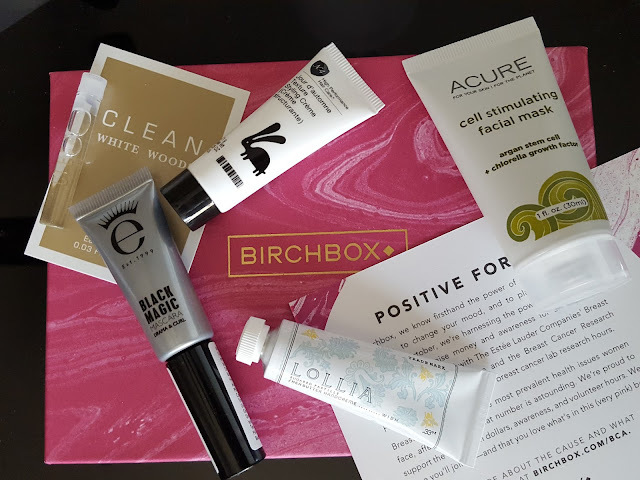 Plus Birchbox has a really great points system and a huge online store plus fun limited edition boxes that come out every once in a while. Yup, that's what makes it so hard to quit them. It's like an addiction!